And you can trust us to help keep it that way. You know the power of your brand. You also know your brand’s promise is in every drop. That’s why each of the world’s top ten beverage companies trust us to help keep their products and brands safe, consistent, unadulterated. So they come to us and our widest instrumentation portfolio on the planet—ion, liquid and gas chromatography, metal analysis, mass spectrometry, discrete analysers, laboratory equipment and plasticware, and data management—for accurate, reliable answers, no matter where they are in the beverage analysis process. Routine to high-end detection, top beverage companies know the answers can affect so much more than their product. Equally important, they can make or break their brand. Choose from advanced sampling handling solutions, modern GC systems, quality columns and state-of-the-art reporting, reagents and accessories. Streamline your applications with our highly integrated solutions including systems, standard and bio-LC columns, autosamplers, detectors, fittings, software, and more. Benefit from our 40 years experience. Whether you perform routine IC analyses or more demanding applications, choose from our innovative portfolio of Dionex IC systems, columns, components, consumables, and software. Identify organic and inorganic elements at ppm to sub-ppt levels across the lab with our broad portfolio of instrumentation. We offer operating and data management solutions from single standalone systems to enterprise-wide solutions. Thermo Scientific LIMS enable food producers to standardize and coordinate operations at all stages of food production, from farm to table and from production of raw ingredients to packaging. Get better resolution and sensitivity with faster analysis and consistent performance. Choose from reversed phase, HILIC, ion exchange, mixed mode, size exclusion, ligand exchange, application specific and more. 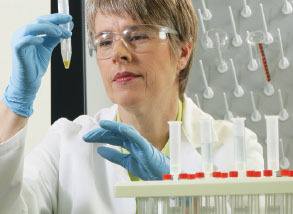 We provide start-to-finish workflows and expertise to help regulatory, food monitoring, research, and testing laboratories meet their pesticide challenges. Great beer comes down to a science. Quality ingredients, the right recipe, and a careful brewing process mean you can create the beer you envision. We offer durable, high quality, portable and benchtop meters that can help you analyse your starting ingredients, optimise your brewing process and quality check the final product.